The goal of the USA is to create an outdoor hunting and fishing club exclusively for union members and their families with the purpose of actively engaging union sportsmen and women in the ongoing fight to create a better future for hunting and fishing while helping to create their own outdoor community that will extend union member benefits beyond the workplace, into the woods and onto the water. As a part of fulfilling our mission, the TRCP has partnered with 20 of America’s labor unions, representing over 4.5 million union workers and 10,000 locals across the US and Canada, to create the Union Sportsmen’s Alliance. All 20 of TRCP’s union partners are affiliated with the AFL-CIO. Based on an independent, random, scientific poll of Union workers, 70% of the participants surveyed indicated that they hunt and/or fish. Based on that figure, we can assume that approximately 3.2 million members of the labor unions affiliated with the TRCP are hunters, anglers or both. These 3.2 million members who hunt, fish and recreate in the outdoors easily make up America’s largest block of sportsmen and women who are without any formal affiliation with a conservation or outdoor organization. This new TRCP / Union dedicated program represents a significant but logical step forward in the TRCP’s ongoing efforts to organize, activate and engage large segments of America’s outdoor community to take action on our nation’s most critical hunting, fishing and conservation issues. How does the Union Sportsmen’s Alliance work? The USA is a dues-based, union dedicated sportsman’s club designed to meet the outdoor needs of hardworking union men and women and to engage them in the fight to ensure all Americans a place to hunt, fish and recreate in the outdoors. The USA will give union sportsmen and women the tools and collective strength necessary to have a significant impact in preserving the outdoor heritage they depend on for themselves and for their children. For many of the 3.2 million sportsmen and women who belong to labor unions affiliated with TRCP, hunting and fishing are part of who they are. The USA will help them and their families to better enjoy the activities they’re passionate about. The USA will extend union member benefits beyond the workplace and into the woods and water with a website and print materials that deliver news and information about hunting and angling and unprecedented discounts on sporting equipment and services. What are the benefits of the TRCP and USA? Creating a program like the USA benefits the TRCP, our Union partners, and the future of conservation. For union workers who hunt, fish and enjoy the out of doors, the USA has the potential to be among the most cherished and tangible benefits provided to them by their union. For the TRCP, USA empowers us to reach out and connect with hundreds of thousands of union sportsmen and women and their families in an unprecedented fashion by helping them better enjoy the passions that are at the very core of their lifestyles. How will USA help TRCP achieve its mission? Due to the strength and influence of the USA and its hundreds of thousands of new voices, it will greatly aid the TRCP in achieving its mission to “Guarantee all Americans a place to hunt and fish” through its policy initiatives. The USA will also offer an ideal audience of sportsmen and women through which TRCP can spread the word about issues like access and fish and wildlife conservation. I’ve heard about the Union Sportsmen’s Alliance (USA) but exactly what is it? The USA will recruit its members from this massive base of union outdoorsmen and membership in the USA will cost $25 a year. This USA/Union-based sportsmen’s community will be connected using a sportsman’s club concept — a multimedia service that combines print, web, TV and continuity buying programs to deliver the best in hunting and fishing information and unprecedented value on outdoor and sporting equipment to union sportsmen and their families. Tell me a little more about the USA. The USA will be a dues paying/member based organization for union members that hunt, fish and enjoy the outdoors. An annual fee of $25 will be charged to join the USA. 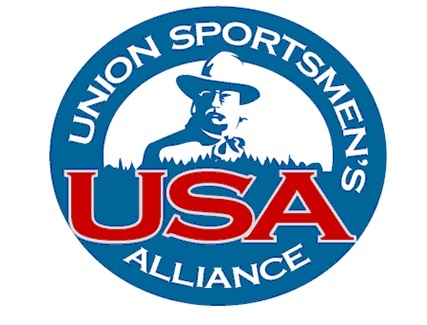 The USA/Union based community of outdoors men and women will be connected using a sportsman’s club concept — a multi-media service that includes print, web, television and continuity buying programs that will deliver unprecedented value on outdoor sporting gear, travel and services to union members and their families. An integrated USA website will serve as the 24/7/365 information and marketing vehicle to create a sense of community among USA members. The site will feature hunting and fishing tips, techniques and information on how to access the best places in America to hunt and fish. An exciting feature of the website will be an e-commerce destination that will serve as a key vehicle to communicate special offers and discounts on hunting and fishing gear only available to USA members. Who can join the USA? Any union worker whose membership is in good standing with an AFL-CIO affiliated union may join the USA. Also family members of union workers are encouraged to join the USA. Please check back with this website in April 2007 to join the USA and look for more information in your union publications. I’m a sportsman and a union member in good standing – How do I join the USA? The plans are for the USA to formally open its doors and start accepting members on April 1, 2007. Please visit the TRCP website or go to www.unionsportsmensalliance.com after April 1 to join the USA online. Also, be on the lookout for information from your unions. I’m not currently a union member, can I still join? For now the USA is only open to union members. If you are not a union member, we encourage you to sign up for your free partnership with the TRCP. As we move forward, we anticipate being able to provide special discounts and opportunities to TRCP partners who are not USA members thanks to relationships we are building through USA with corporate partners. If my union isn’t involved, can I still sign up? If your union is affiliated with the AFL-CIO (see complete list here) and you are a member in good standing with your union, you are welcome to join the USA. What 20 Unions are involved with USA?